One price for the class includes seven weeks of instruction. This class will introduce you to the basic techniques of quilting while creating 3 wonderful projects. Classes will include the safe and proper use of the rotary cutter (needed for nearly all quilting projects of today), and achieving a 1/4" seam. 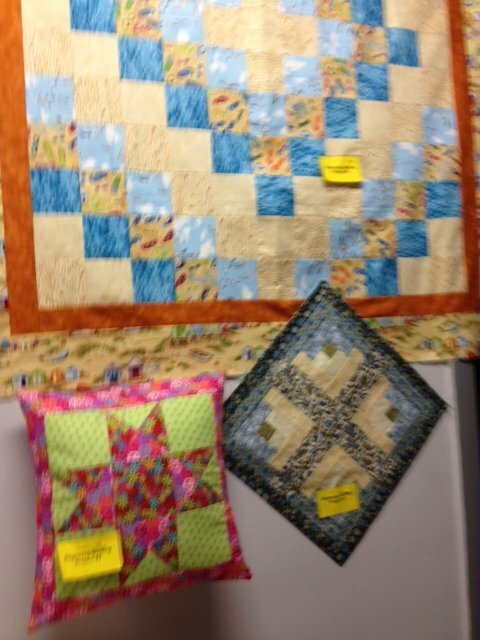 Beginning Quilting will prepare you for nearly all classes presented at Quilts & Treasures, Inc. We'll be happy to help you choose your fabrics. Class discount on all class supplies. Please get supply list in advance of class. Will need rotary cutter, mat, and acrylic rulers. Special introductory package price available.